1. 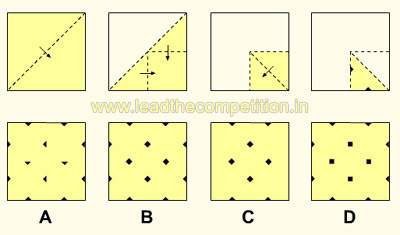 A square sheet of paper has been folded and punched as shown below. How will it appear when opened? 2. 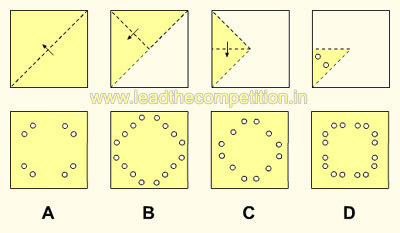 A square sheet of paper has been folded and punched as shown below. How will it appear when opened? 3. 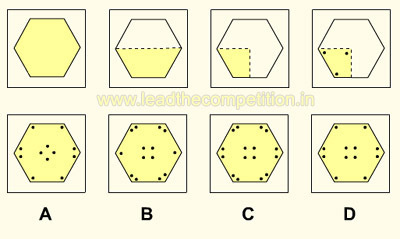 A hexagonal sheet of paper has been folded and punched as shown below. How will it appear when opened? 4. 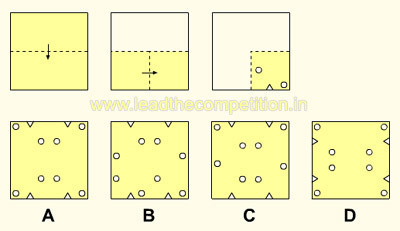 A square sheet of paper has been folded and punched as shown below. How will it appear when opened? 5. 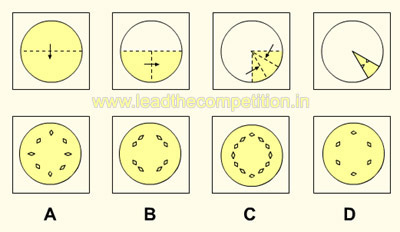 A circular sheet of paper has been folded and punched as shown below. How will it appear when opened? 6. 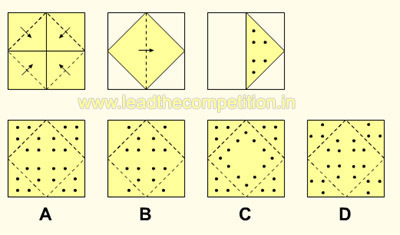 A square sheet of paper has been folded and punched as shown below. How will it appear when opened? 7. 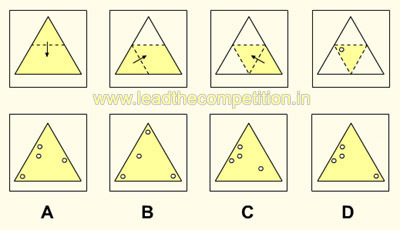 A triangular sheet of paper has been folded and punched as shown below. How will it appear when opened? 8. 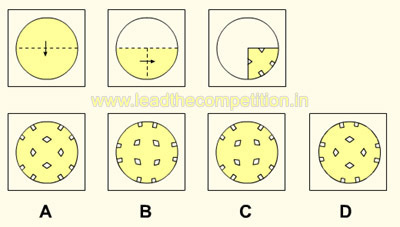 A circular sheet of paper has been folded and punched as shown below. How will it appear when opened? 9. 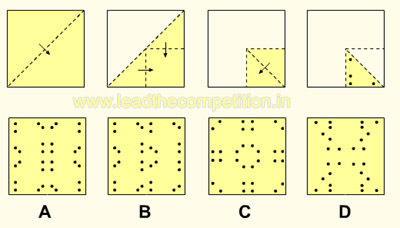 A square sheet of paper has been folded and punched as shown below. How will it appear when opened? 10. 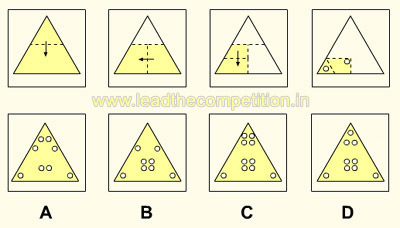 A triangular sheet of paper has been folded and punched as shown below. How will it appear when opened?